Intended for experienced pilots (12 flights or more) that are generally comfortable with most aspects of UAV operation, the Manager Track is the next step in your successful UAV program. More in-depth flight training, media management, basic thermal imaging, and updates on the FAA's regulatory environment will segue into a collaborative forum where facilities management pilots from across the country can work together to share their experiences. This four-day conference will be split between a classroom setting and hands on flying at a variety of unique locations and environments. We will have the opportunity of driving to Moab, UT to fly at an industrial site, as well as the world famous Utah Desert. This area boasts 5 national parks, several state parks, and a variety of other-worldly landscapes. The drive is 4 hours from Ogden and well worth the effort to fly in such a picturesque area. 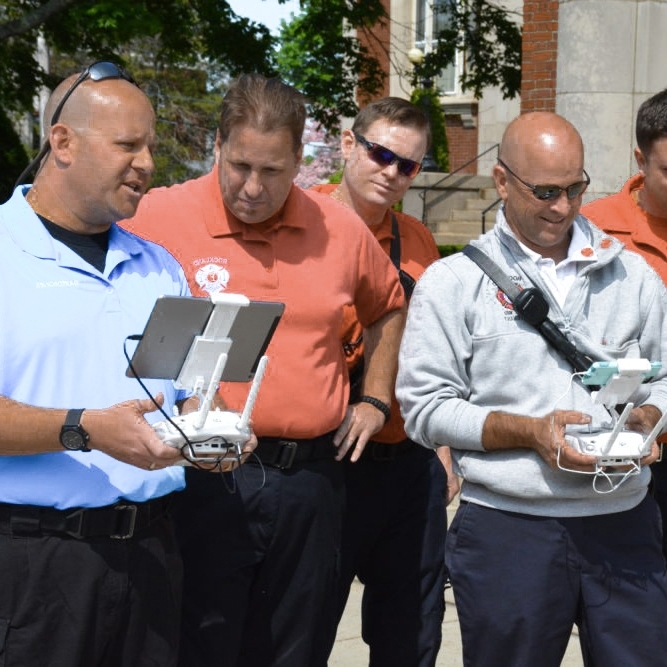 Learn new UAV applications for your operation, more in-depth flight training, technology advances, automated flight paths, 3D modeling, site surveys, inspections, and many more site specific uses. As the regulatory environment continues to quickly evolve, time will be spent reviewing current FAA rulings, Part 107, section 333, airspace waivers, and industry specific trends. Surveying shouldn't be left only to what we can see with our eyes. The infrared spectrum captured with a thermal camera opens up an entire new set of applications for facilities managers, GIS surveyors, landscapers, foresters, and more. We can now do things like visualize runoff and waste-water through brush and ground cover, identify areas of disease in tree canopies, and energy audits highlighting areas of heat/cooling loss. This new aerial prospective provides a unique set of data that can change the way you manage your operation. One of the greatest benefits of the UAV Manager track is the opportunity to network and collaborate with other pilots and managers. Coming together as peers to discuss past experiences, new ideas, and best practices gives you the ability to learn from other's mistakes and energize your program back home. Relationships created in the field can prove invaluable in the future as questions arise or advice is needed. Class will be held in Ogden, UT, 40 minutes north of the airport on 4/9 and 4/10 only. Rental cars are easily available from the airport. "The Junction" area of Ogden hosts a variety of nightlife activities, restaurants, bars, and hotels. The Hilton and Marriott are both located in this area. The second half of the training will take place in Moab, UT. Reservations in Moab should be made for 4/11 and 4/12. The drive from Moab to the SLC airport is 4 hours so please plan your return flight accordingly. As class begins at 8AM on Monday April 9th, it is recommended that all participants arrive Sunday the 8th. Class will continue from 8AM to 5PM with a break for lunch and another mid-morning/afternoon. Lunch will be provided daily, as well as dinner on Thursday.